Shopping for the upcoming season is a great way to spark the excitement of getting on the field in the spring. Choosing the right bat however can be challenging because of the number of bats and league regulations. Besides the rules, the array of styles and sizes create so many options that it can be difficult to narrow down what works best. It is important to note that the final decision should come down to what feels comfortable for the player and what is legal within the association regulations. Combining these tips and what feels comfortable in the hands of the player will put you in the best position during the buying process. Choosing the right bat length and weight is important to get the maximum performance out of the swing. If the player swings a bat that is too heavy it may result in their timing being off, slower swing speed and a less natural swing overall. Swinging a bat too light however may cause the player to open their swing too soon, lose balance and produce less power overall. Drop weight is an indicator on bats that is determined by the difference in the length and the weight of the bat. Ex. 30 in bat that is 20 oz will be a drop 10 bat with the indicator (-10). The sizing chart below is a great starting point to see what the most popular lengths and weights are based on age and size. Finding the right balance is vital to optimize each swing in every at-bat; although it can be tricky, it mostly comes down to comfort. Similar to bat length and weight, the load of the barrel can make a big difference whether you choose between balanced end-load. Balanced bats are the most common because the barrel is evenly distributed from end to end and allows for an evenly consistent swing for contact hitters. End-loaded bats tend to add an extra half ounce of weight located around the end of the barrel resulting in more momentum with your swing. These bats, such as the DeMarini CF Zen Insane, are commonly used by power hitters because the weight will be more distributed in the hitting zone. 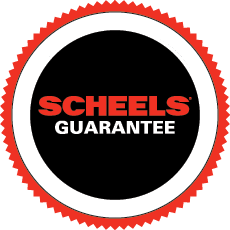 If you have questions on finding the right bat for you, stop into your local SCHEELS and talk with a Baseball Expert. WHAT BATS ARE THE MOST POPULAR?